The other night I had my friend Anne over for dinner. My boyfriend and I were about to go out of town, so I made us all a bit of a mini-feast, and ended up cooking pretty much all of the perishable items we had on hand. 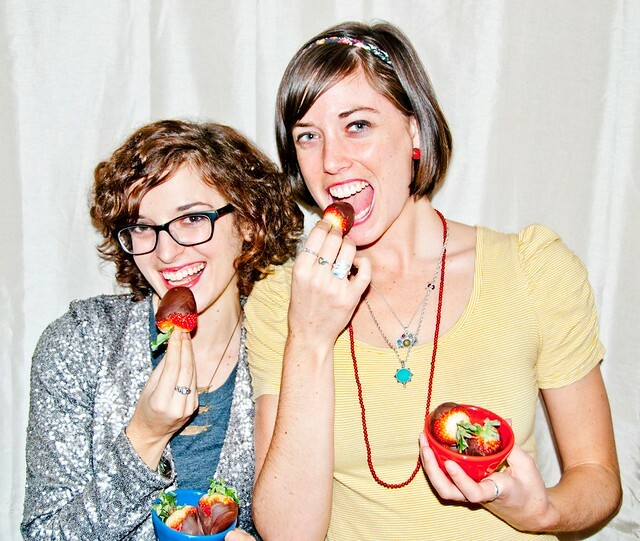 We had an entire package of strawberries, and I had somehow accumulated several opened packages of vegan chocolate chips over the last several weeks, so I decided to make chocolate covered strawberries! 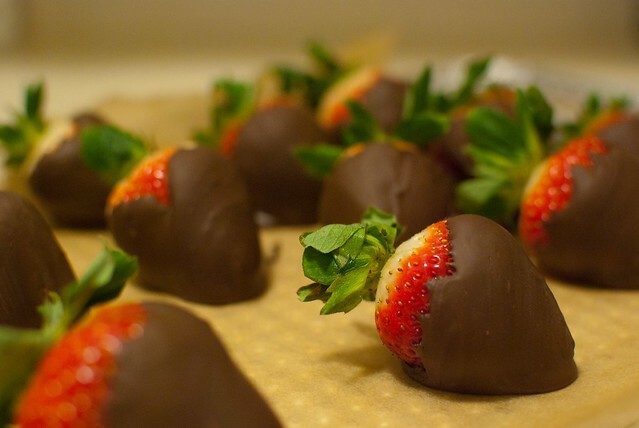 This is a great recipe to keep in mind for Valentine's Day...or any other time of year when you want to make something "fancy" that in reality is affordable and quite easy! 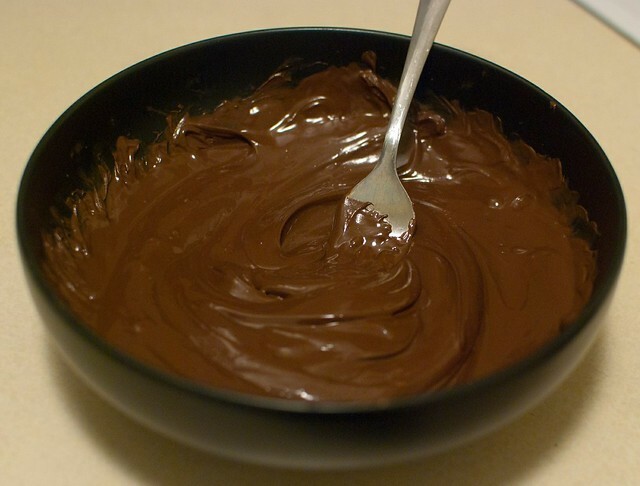 Put the chocolate chips in a microwave-safe bowl, and microwave on high for 1 minute. After 1 minute, remove from the microwave and stir thoroughly with a fork, really pressing down on the softened chips as much as you can. Return to the microwave for another 30 seconds and stir thoroughly again. At this point, the chocolate should be completely melted. 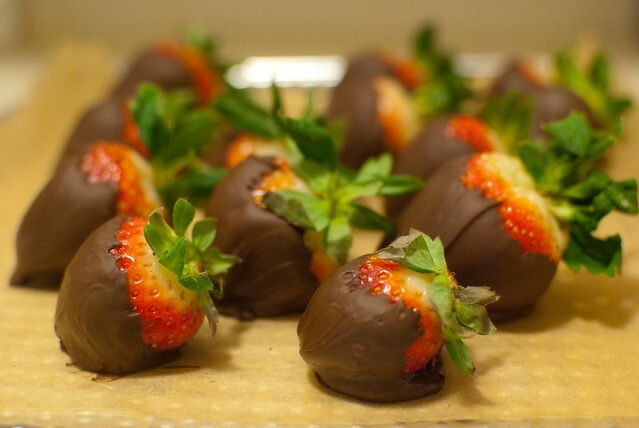 Take individual strawberries by the stem, and dip them into the chocolate. Twirl them slightly as you remove them, coating all sides thoroughly, and allowing the excess chocolate to drip back into the bowl. Place them on the parchment (or wax) paper to cool. To speed the cooling process (and to store them until you're ready to eat! ), place your paper (parchment or wax) on a cookie sheet or large, flat plate, and put the strawberries in the refrigerator once finished. If you're working in a warm environment this will be especially important! The biggest danger of using the microwave to melt your chocolate is the ease with which it can burn. I used to do this time after time when I first started using the microwave method. I've found that one minute in the microwave followed by another 30 seconds is ideal. If, however, your chocolate is still not melted after a minute and a half, you can zap it in 10 second increments, stirring thoroughly after each go round. If you heat the chocolate too much it will appear hard and crumbly, and you'll know you've burnt it. There's really no returning from this, you'll have to start over. So take it slow, and stir, stir, stir! If you've ever used a double boiler (or made your own) and you're comfortable with that, feel free to do so, of course. I just find that the microwave is really quite straightforward and simple! 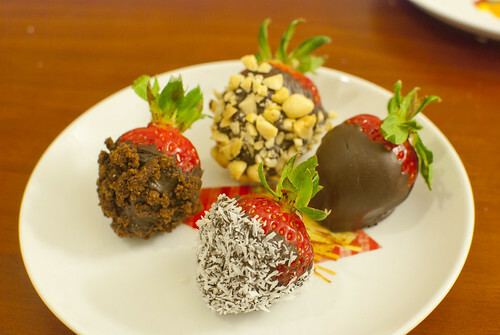 I made these strawberries in all of about 10 minutes, but there are lots of ways to add a bit of pizazz to your berries! If you melt white chocolate, you can drizzle this on top with a fork, for a really beautiful result. 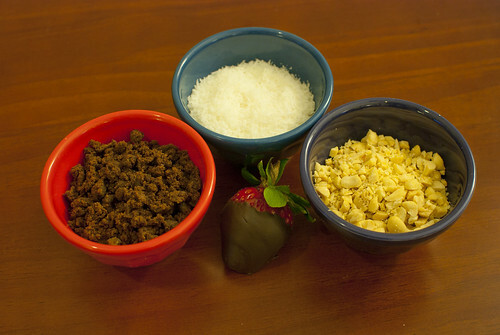 You can also cover strawberries in finely chopped nuts, coconut, or even cookie crumbles after dipping in the chocolate--the sky's the limit, really!